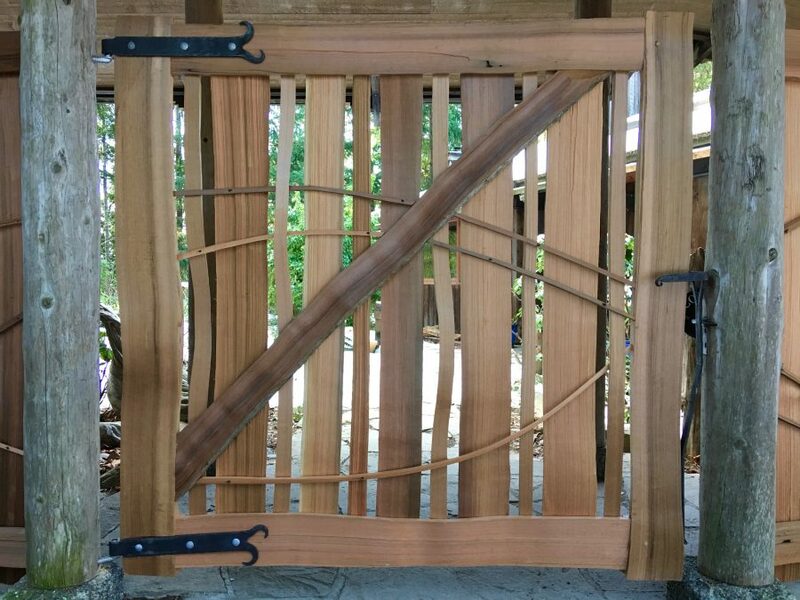 This winter I was asked to do an entrance gate and fencing project on Salt Spring Island at the same residence where I have built a bench, and dining table with chairs in the past. The property is lovely and on the water. 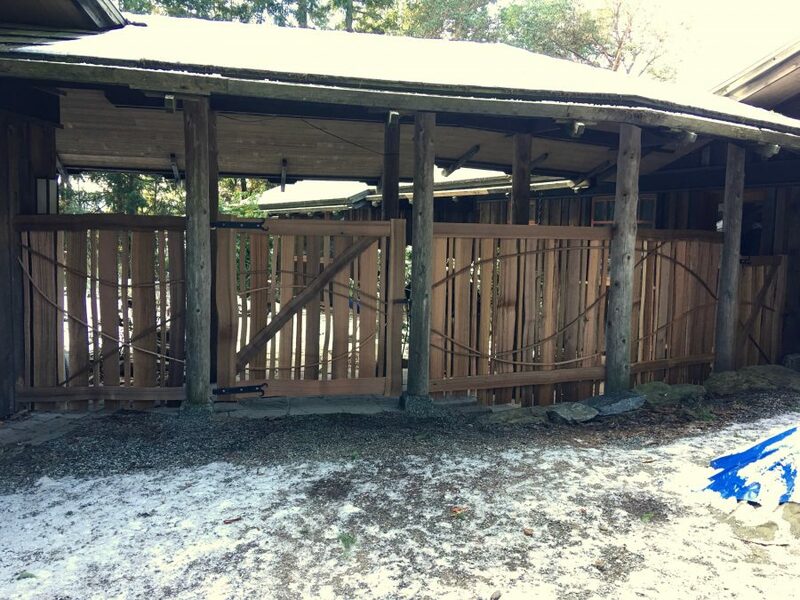 To enclose the inner yard the clients wanted a section of artistic fencing going between the main house and the studio/garage. 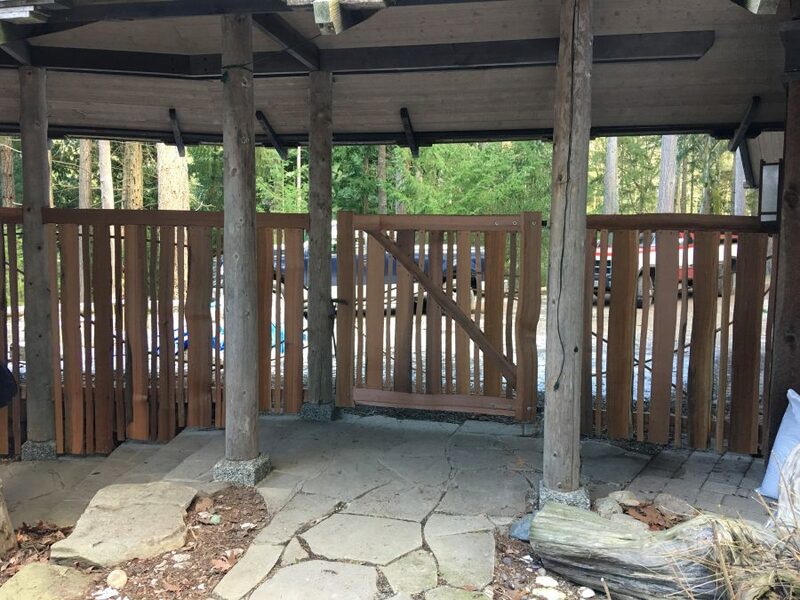 There was already a covered roof over a walk way between the buildings, so we decided to use the existing posts to define the fence panel and gate spaces. 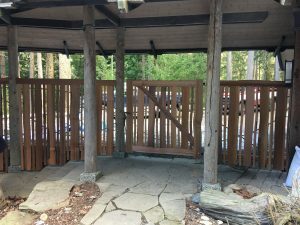 The fence panels were built in place with top and bottom rails attached to the posts. The top rail has a rabid on the back side where I set the top of each fence picket into. Most of the fence dips beyond the lower rail so I just went behind it to a few inches off the ground (remembering to offset that lower rail the width of the pickets). The pickets were mounted in a wide/narrow pattern. 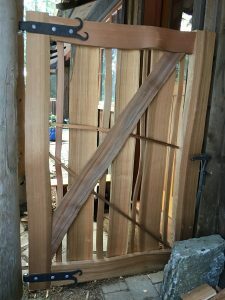 I made the gates in my shop and brought them over to SSI to install. 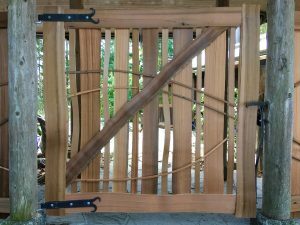 The gates are my traditional hand split mortise and tenon joinery with pegs using roughly 2″ cedar split boards, with the same rabid on the backside for inserting the pickets as the fence. 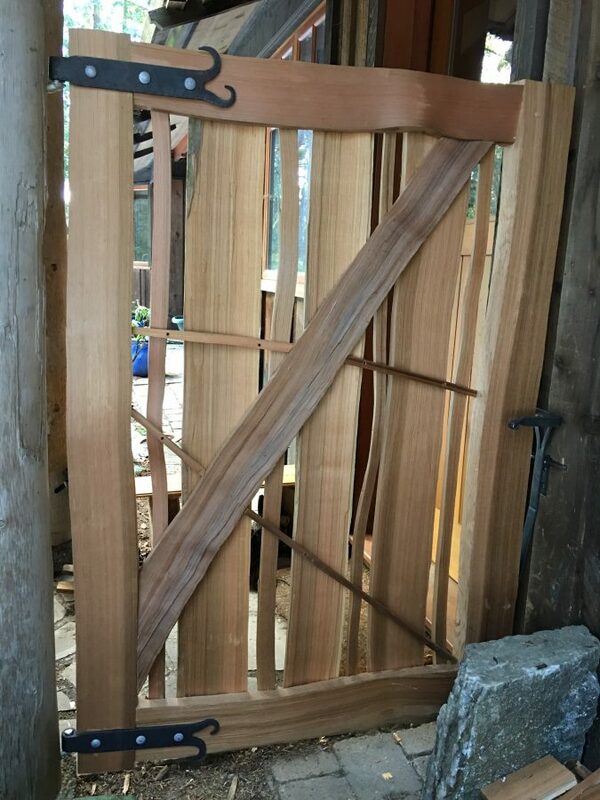 I had Jeri from Thistle Rock Forge on Salt Spring Island custom make all the hinges and latches for this project. There are two gates, the main entrance which is about 5′ wide, and a smaller 3′ side gate beside the back door to the house, which the clients use for access to their firewood. 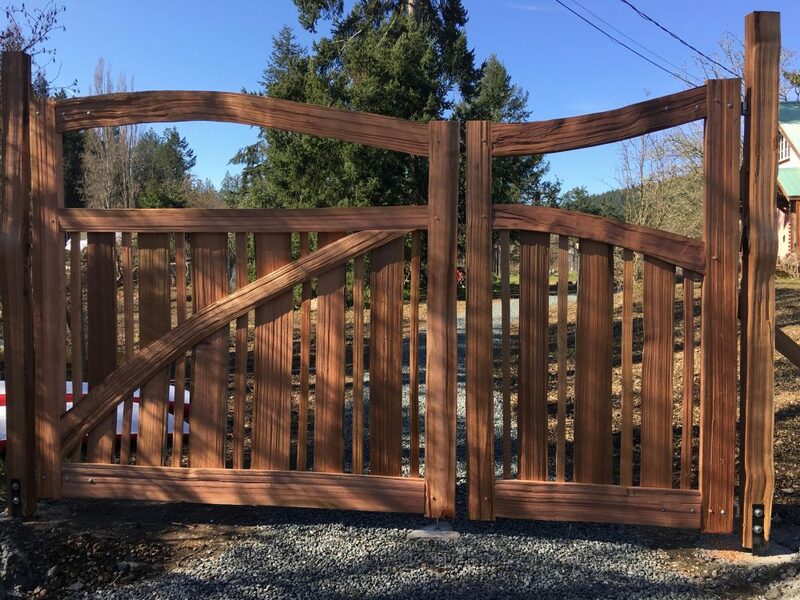 After the gates and fencing were all installed I added some thin split cedar lines on the front surface of the fence and gates to give the fence a bit more movement and draw your eyes across it. The clients decided not to stain the wood, but leave it to go silver over time. Another great little project!